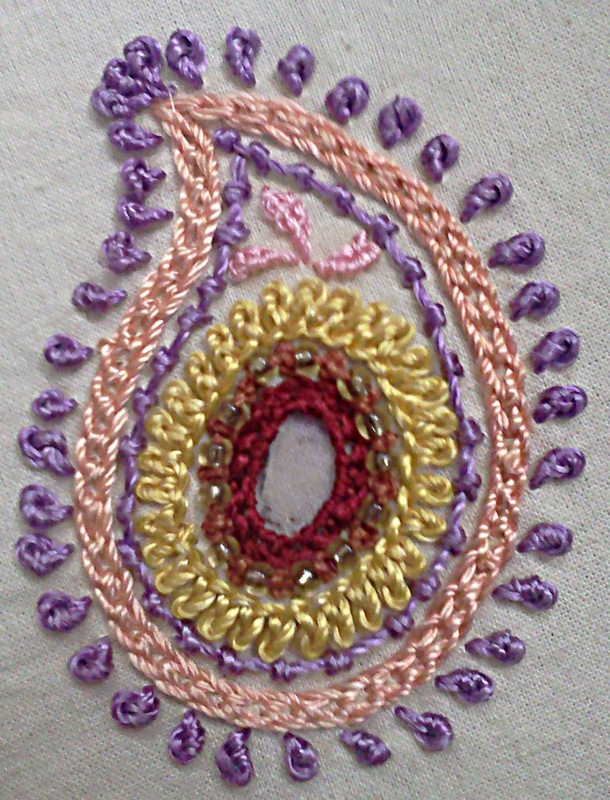 Today the stitch of the week is brought to you by the ever talented Mary Corbet and is the rosette chain stitch. 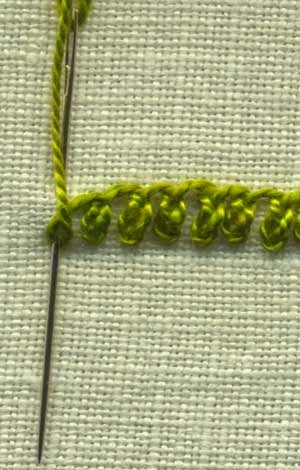 This stitch is very pretty and obviously based on the normal chain stitch but yes, with a twist! It can make a beautifully different way to embroider something, it would make a lovely border on something. Maybe a cloth or a child's piece of clothing or indeed on a pillow case. I hope you enjoy this tutorial, so make a warm drink and settle down to the lovely Mary Corbet and the way she makes everything look easy! Have a great weekend. I hope you enjoy this tutorial, make a warm drink and Happy Stitching!